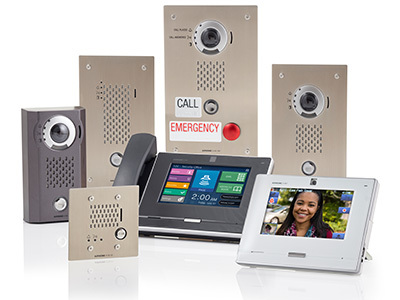 Control the door station's unique tilt video intercom camera from any of the up to five interior video intercom units. See and speak with visitors to determine their intent before conveniently unlocking the door with the push of a button! Audio/Video monitoring allows discreet monitoring of activity in areas where video door stations are installed. 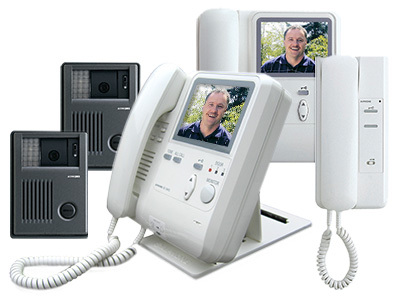 Inside video intercom units one master or sub master station at a time or call all of them at once.